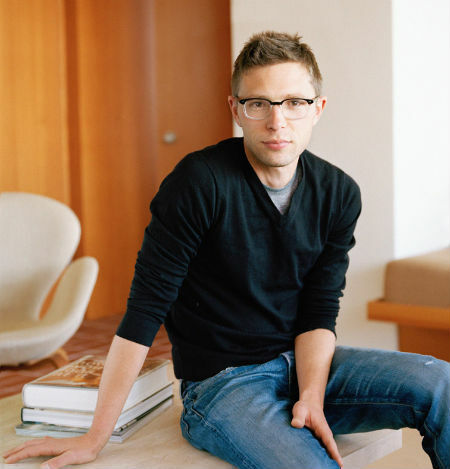 Jonah Lehrer was one of my favorite authors. I found his writing style engaging and his content thought-provoking, but what I loved most was his ability to explain complicated scientific studies in ways that laypeople could understand. Because my focus is on the interaction of science and religion, and in particular, how cognitive science can inform who we are as human beings, I constantly drew on his work, and quoted him in multiple posts. He was a great explainer and popularized some very complex and important ideas. So when I read that he had fabricated and willfully misinterpreted quotations in his book Imagine (which I had read only a month and a half ago), I felt betrayed. Yes, I know that it’s important to be a critical thinker of what I read, and to have a healthy skepticism of any information I may come across. But since I don’t have an academic background in cognitive science, it would have been very hard for me to even know what questions to ask, or precisely how to examine the studies Lehrer talked about. Instead, I simply had to trust him and trust his integrity. Unfortunately, as I found out on Monday, I couldn’t. Beyond my personal feelings of betrayal, however, there’s a deeper issue that I’ve been thinking about these last few days: the importance of trust in the internet age. Many people are mystified as to how Lehrer could have thought that his lies would go undetected. In an article on Salon.com, Roxane Gay wondered: “In the age of the Internet, when everything is just a click away, how did Lehrer think he wouldn’t get caught…when he simply lied over and over?” Indeed, truthfulness is a sine qua non for bloggers and writers who want to be respected, simply because if they don’t check their facts, eventually somebody else will. But while crowdsourcing has made it infinitely easier and faster to uncover lies, there is now so much information out there that it’s impossible for us to personally verify each and every thing we read. And today, if we come across something intriguing, we go beyond simply reading it — we immediately share it, tweet it, draw on it, remix it, and build off of it. The only reason we do that is because we implicitly trust the accuracy of that information. And as soon as we link our name with someone else, we link our credibility to theirs, as well. Indeed, in the internet age, we are all not only consumers of content, but producers of it, as well. Anything we say or share might become the basis of others’ work, and more likely than not, they will simply have to trust that we are telling the truth. That’s why the Rabbis highlighted an intriguing characteristic about the Hebrew words for “lie” and “truth.” In Hebrew, the word for “lie” is “sheker” — shin, qoph, resh. The shape of those three letters are balanced on thin footing, and are precariously balanced. In contrast, the word for “truth” is “emet” — aleph, mem, tav. The shape of those three letters rest on more firm footing, and have stronger bases. Ultimately, in the internet age, everything we say becomes a potential building block for others to use, and the only way to ensure a solid foundation based on trust is to be truthful. And as Jonah Lehrer learned, lies will topple your world.